The model slowly grew becoming more like a plane everyday … little by little – he learnt the names of the various parts … then it was finished. Such an amazing story. Your writing brings each action to life. And your message to save the stories of ancestors is an excellent reminder to record your family's oral history. Your words made it easy to imagine the little boy playing with the plane, and making the noises all little boys love to make. Great job! Loving the nostalgia created/recreated and the stories to come. I just want to let you know, my 72 year old child has a ton of planes all over our basement that he flies - he must have about 50! What nice information and I am going to send this to him. Now that's a fine memory to pass down and inspire the next generation. A lovely scene and an important message. The past and it's stories matter. You have to wonder is it the video recordings or the writings that will make the difference in the future. I see what you did there. A different kind of voodoo. Nice. That was an awesome journey Hilary. What a great way to keep Grandpa's memory alive, and to relive the best parts of his life. Great use of the voodoo theme. I liked the use of colour throughout, very nice indeed! Your first paragraph grabbed me and I knew a good story would follow. It was delightful! A wonderfully written story, and I love that name for a plane. Well done! Have a lovely weekend, Hilary. What a lovely story. The image of the boy and his grandpa, the sounds, the finish are captivating. My heart is full - this is lovely! This is wonderful, Hilary! I love the photo of both the stick plane and the real one. You are so lucky that you have his stories to remember. I need to write down all my own father's tales he told his children. Perhaps I should start today. Thanks for the memories, Hilary. All best to you! Stories do bring the generations closer. Lovely story, Hilary. Wishing you an exciting Halloween. Nice use of the prompt. Very nostalgic. I love the colorful planes! Hilary, please link your flash fiction to the WEP+IWSG badge that’s pinned to the top, over at the IWSG Facebook page, so that others can read your lovely work. Very creative. And a lovely pictorial with words. That is a great name for a plane indeed. Goes to show what passing tales down to future generations can spur. 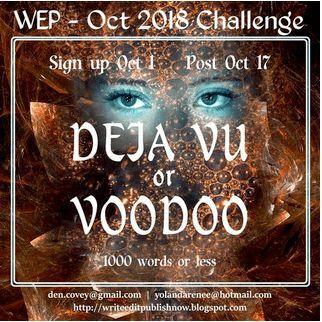 I love your take on the prompt! So vividly described and full of childhood joy! This was an absolute pleasure to read! Thanks for sharing this with us! What a great story! Easy to picture. I also love the idea of parents and grandparents (and aunts and uncles) passing their stories down through the next generations. @ Adjura - yes stories can bring generations together can't they ... and bridge the gap between the grandparent and the grandchild. Not sure about Halloween ... ?! @ Michelle - thank you ... couldn't resist when I found there was a plane called the Voodoo ... and the purple! Ok ... Michelle I couldn't find where to go ... I'll look again tomorrow .. thanks. @ LG - delighted you enjoyed it so much ... thank you and I was able to bring the model building and story telling to light ... so pleased. Hello Hilary! I adored this story. How effective was all the little-boy noises. So authentic. I could see him with his tongue out, creating the appropriate sounds as he created his voodoo. Passing down stories is so important. Otherwise so much is lost. Marvelous! Simply marvelous. I couldn't stop smiling. And the colors are fantastic. I didn't know there was a real plane called Voodoo. What an outstanding entry to this theme! Relating a child's joy in making something that he feels connects him to his grandfather is truly a pleasant read. Wonder why he called his plane Voodoo? A great way to play on the word prompt. Liked this, Hilary, it will stir the hearts of any mothers or fathers remembering their sons at play. I remember so well those balsa wood airplanes from the past and the satisfaction we derived from building them (we thought we were aviation engineers, designers even). Often shortly after flying them they would get damaged in one fashion or another and then they had to be repaired. But we were so delighted to have them. I know this is the nostalgia of an old man, but do kids get that kind of satisfaction any more? Does solving a Rubik's cube compare? Does playing a game at hyper active speed on a tablet rival the first launch of the balsa wood Queen of the Skies? Somehow I think something has been lost. Love this. And I love how you incorporated sound into it and brought it to life for all of us. @ DG - lovely ... so many of us live far away from our grandchildren - and both my grandfathers died so I never knew them. I've no idea re the name ... and I've just looked to see if it clarified it - but no ... it was Chile Voodoo - why ... is anyone's guess. @ David - good to see you back ... but am so pleased you've added to the story - I'm sure youngsters dream of flying high, or designing weird and wonderful ideas. I totally agree that those with children, grandchildren or others who'll follow after them and be interested, should write down some of their stories and memories to pass on to future readers. A great way of passing down family history. Well done. This story is so warm and uplifting. It makes me smile. Thanks for sharing it. That is too lovely, Hilary. Such a moving story. I loved it! As with all the other commenters here, I thank you for sharing it with us! So sweet. I remember those days when I painted my model airplanes! Ah, the innocent days of youth. I find it so interesting the plane's name is Voodoo... such fun. Nice tie in. Really enjoyed your entry! it is so wonderful to have the memories and stories of our ancestors. I have been immersed in genealogy research lately and wish I know more of my ancestors life stories. Nice memory of building a special model plane. This is the link over at the IWSG Facebook page, where you must post your WEP piece. You can copy and paste it into your browser. This was lovely, moving and great descriptions from the colours to the noises. @ Deborah - I wish I did have those memories ... but sadly the ones I remember but no others from my parents or grandparents. I'm sure your genealogy will bring to light interesting occupations and place - stories can be created and gleaned then into tales from the past ... good luck. @ Michelle - I think Michael did it for me ... I wasn't a FB IWSG member - but have joined now ... so in the future might be easier. How sweet is this? I really enjoyed this. I love the idea of passing on stories from one generation to another. The connection to the real Voodoo and the toy one was perfect. I could totally see the little boy playing. Nicely done! You brought the sights and sounds to life through your words. Excellent! Voodoo is a perfect theme for the season, and I liked how you took the theme and made it different. You're absolutely right, people should write down their parents' and grandparents stories before it's too late. This was a really great twist on the voodoo prompt! Nice job, Hilary! Hilary, this is sooo good. I bet you had fun writing it? Love writing stories down for my kids. It's important or they will be lost. Hope your week is filled with energy and creativity. @ Mark - knowing no difference between the too ... but as the Spitfire is British - I'll go with that!! This was totally adorable and touching, Hilary. And I liked the call to Write, Edit, and Publish our stories for our children. Perfect. What a gorgeously nostalgic story. You captured the sensations of making one of those little planes so well. I also enjoyed your words at ECs, Hilary. Fun. A very happy take on the prompt. Nice work! This made me smile. I had no idea there was a plane with that name. Did you just know that, or did you have to dig around? 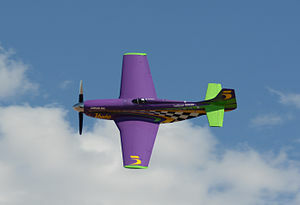 @ Jamie - I just checked re the 'name' and found the plane - and thought ok I can do something with that ... so I dug around in my grey cells about the little purple and green plane! Aw, what a lovely story! I've always wanted to try building a model airplane. Thanks Deniz - it was a delight to write up ... and I'm so pleased everyone enjoyed the story - cheers Hilary PS perhaps in a few years you'll be able to put your hand to model building ...? !